Emma Victoria Payne grew up in Chorleywood, Hertfordshire and had a clear passion for design from an early age. She was given her first sewing machine at the age of eight and adored making things. Emma completed an art foundation course prior to her degree in Fashion Print at Central St Martins College of Art and Design. She then went on to design for John Galliano in Paris and Levi Strauss in Brussels. In 2006 she won the prestigious Elle Style Award for Levi Denim Designer of the Year. While working in Paris, Emma fell in love with the elegance of vintage silhouettes and bias cut styles. She knew then that she wanted to create gowns that captured a romantic feel, so chose bridal over ready-to-wear. Emma Victoria Payne opened her boutique in April 2010 on Beauchamp Place in the heart of Knightsbridge. Emma prides herself on offering an exceptional personal service, seeing each client from the initial meeting to their wedding day. 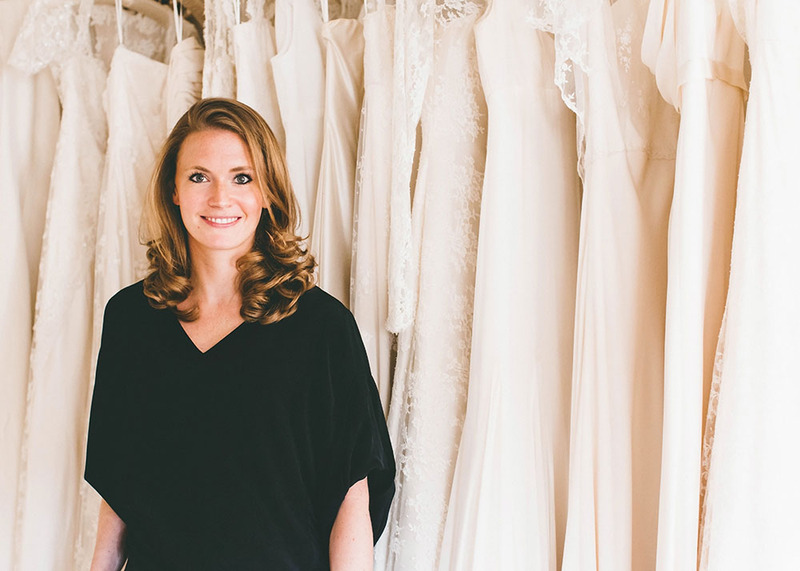 Emma continues to produce exquisite gowns using the richest fabrics and is incredibly fortunate to design gowns for brides all over the world. EVP provide a beautiful made-to-measure collection with the option to make personal modifications to each gown. The EVP 2017 collection is made up of separates so each gown has interchangable layers so the bride can acheive a different look from day to night. Each gown retains an individual character and unique charm, designed with meticulous attention to detail. As well as offering a made-to-measure collection, Emma Victoria Payne provides an exclusive bespoke service. Having a couture gown made for you is a totally unique experience, and one that should be treasured. We involve the bride-to-be at every stage: from the initial sketch to selecting the final fabrics to ensure that each bride's dream gown is everything that she wished it would be.